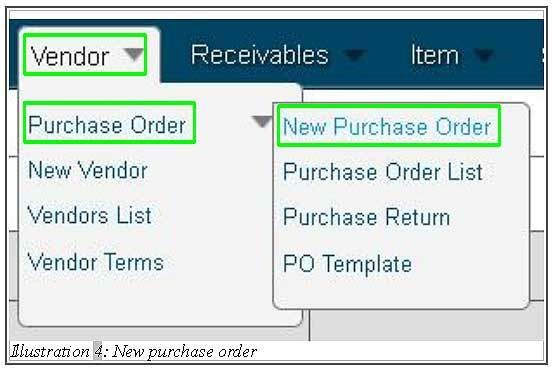 BMO Online Inventory Malaysia allows you to create a new purchase order. 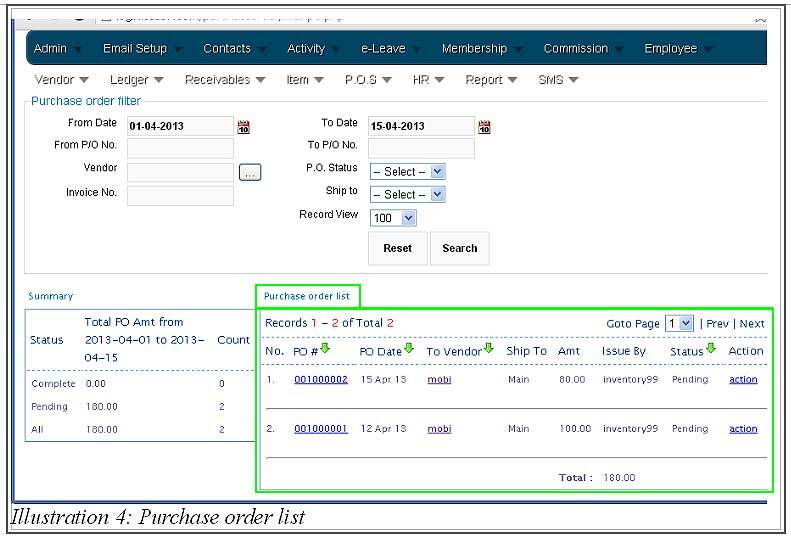 Purchase order module is used when you would like to buy item from a vendor. The module will facilitate in creating and issuing purchase order. In the PO, payment terms is specified, date of delivery, shipping and so on. PO is important to record your purchase and payment will be made to the vendor. 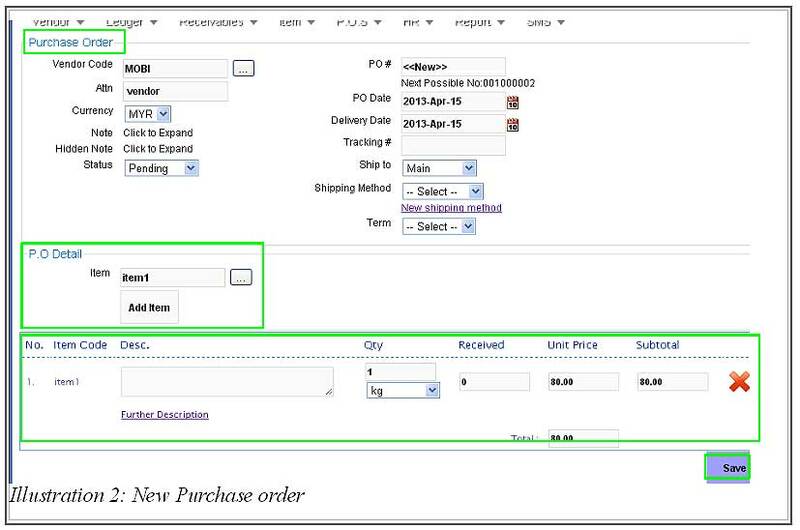 Thus, in this tutorial, we will guide you on how to create purchase order from vendor. 1. Go to Vendor > Purchase Order > New Purchase Order to create a new purchase order. 2. Next, you are required to fill in purchase order’s detail. Add in the item that you would like to purchase in P.O Detail. Save the detail by clicking on Save button. 3. After saving the item, a notification message would appear to inform you that the purchase order has been added. 4. Now, you will be redirect to a page from which you could view Purchase Order List. 5. 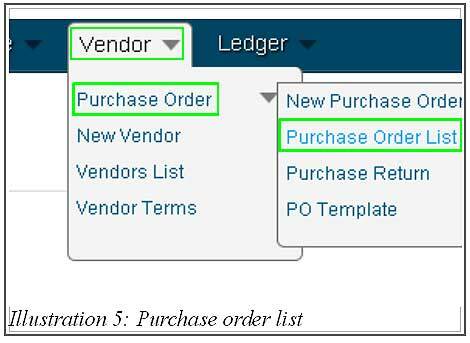 Whenever you would like to view the purchase order’s list, go to Vendor > Purchase Order > Purchase Order List and the list will be generated.